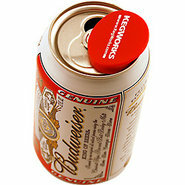 Generic - KegWorks Beverage Can Protector Disc - Set of 6 These incredibly practical beer accessories keep your cans safe from bugs dirt and other unwelcome extras. 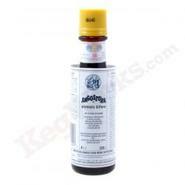 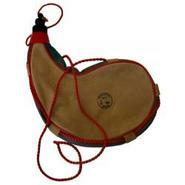 Generic - Leather Bota Bag - Wine Skin Genuine Spanish 1-liter leather Bota bag. 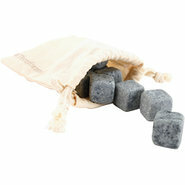 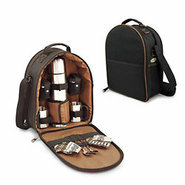 Carry your favorite beverage wherever you go. 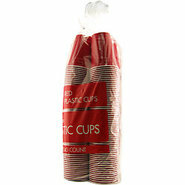 Generic - Red Plastic Beer Cups - 18 oz - Bag of 240 Perfect for parties pong and tailgating these tough plastic beer cups each hold up to 18-ounces of your favorite beverage. 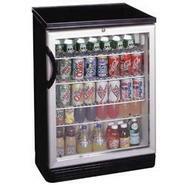 Generic - Golf Cart Beverage Cooler This golf cart cooler can&amp;#8217;t improve your game but it does keep cold drinks in reach on the course. 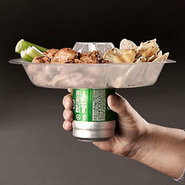 Generic - The Go Plate - Reusable Food & Beverage Holder Talk about practical! 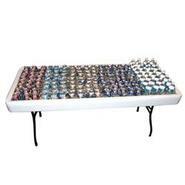 This plastic party tray fits right over your drink so you can hold everything in one hand! 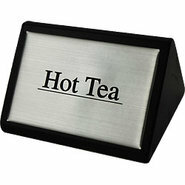 AS SEEN ON THE TODAY SHOW! 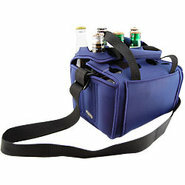 Generic - Picnic Time 12-Pack Insulated Beverage Carrier These ingenious neoprene coolers keep an entire 12-pack of beer soda or water cold &amp;#8211; but that&amp;#8217;s not the ingenious part. 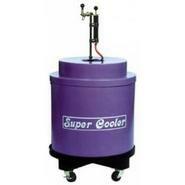 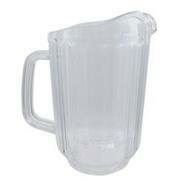 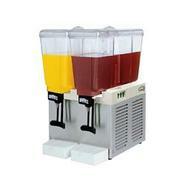 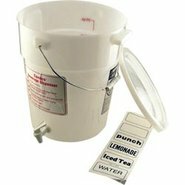 Generic - 6 Gallon Beverage Dispenser Mix and serve cold beverages easily with this heavy-duty beverage bucket. 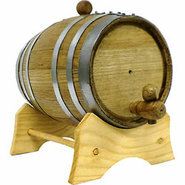 Generic - Oak Beverage Dispensing Barrel with Galvanized Ste This American Oak barrel has been transformed into a one of a kind beverage dispenser complete with a wooden spigot! 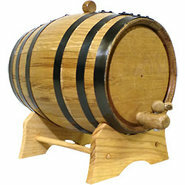 Generic - Oak Beverage Dispensing Barrel with Brass Bands These American Oak wine barrels have been transformed into the ultimate beverage dispensers! 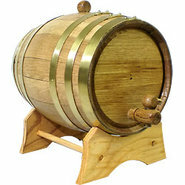 Handcrafted and outfitted with gorgeous brass bands each barrel is equipped with a wooden spigot for serving your favorite drinks. 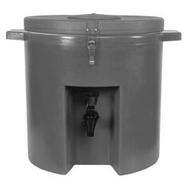 Generic - Oak Beverage Dispensing Barrel with Black Steel Ba These are so much more than wooden barrels for sale! 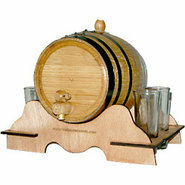 They&amp;#8217;re incredible handcrafted beverage dispensers made from authentic American Oak barrels. 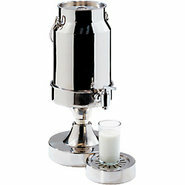 Generic - Brass Spout for SideBar Electronic Beverage Dispen This brass spout enhances the look of your bar drink dispenser and gives you the look that you want for your wet bar. 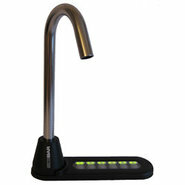 Generic - Chrome Spout for SideBar Electronic Beverage Dispe This chrome spout enhances the look of your liquor dispensing system and gives you the look that you want for your bar. 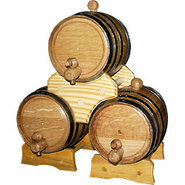 Generic - Oak Beverage Dispensing Barrel with 4 Shot Glasses This isn&amp;#8217;t just a party beverage dispenser; it&amp;#8217;s a one of a kind addition to your bar collection. 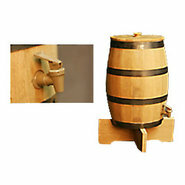 Generic - Oak Windmill Beverage Dispensing Barrel This unique spigot beverage dispenser is handcrafted from an authentic American White Oak barrel. 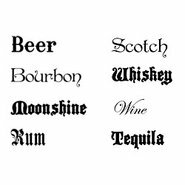 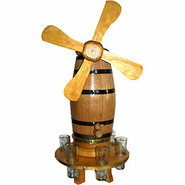 With a windmill top and six shot glasses to fill it&amp;#8217;s meant to be displayed on your bar. 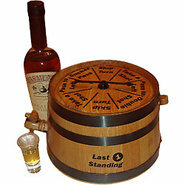 Generic - Last 1 Standing Drinking Game Oak Dispensing Barre This fantastically fun drinking game is made from small oak barrels and it doubles as a bar beverage dispenser! 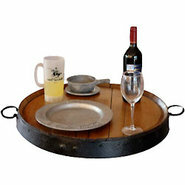 Generic - Wine Barrel Serving Tray This beverage serving tray is handcrafted from a real wine barrel! 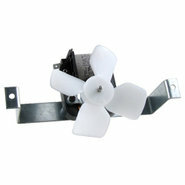 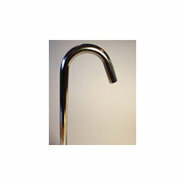 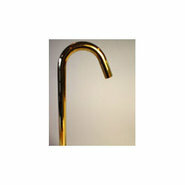 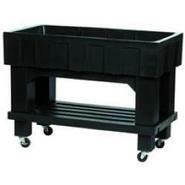 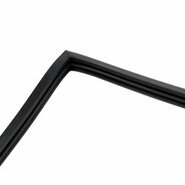 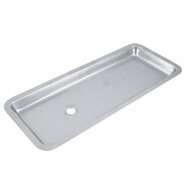 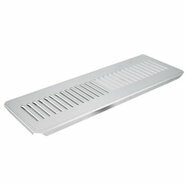 It&amp;#8217;s even outfitted with striking wrought iron handles and a hoop frame for durability. 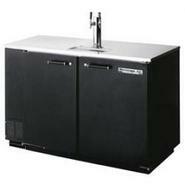 Generic - The Super Server 5 Gallons - Gray Serve hot or cold drinks with this double walled foam insulated beverage dispenser. 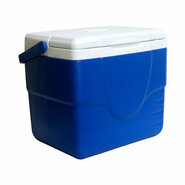 Built-to-last! 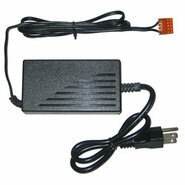 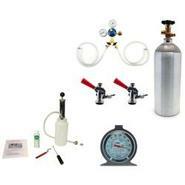 Generic - Accessory Kit for Beverage Air BM23 or Glastender Beverage Air BM-23 or Glastender units do not include these items. 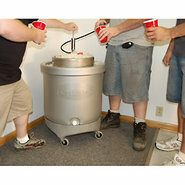 Generic - Beverage Dispensing Keg Barrel This classic whisky barrel has been converted to dispense any kind of beverage. 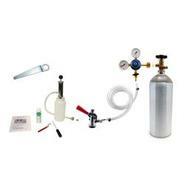 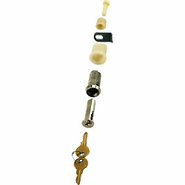 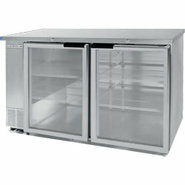 Generic - Accessory Kit for Double Tap Keg Fridges This accessory kit provides you with everything you will need to pour beer out of both taps for the Beverage Air Double Tap Keg Fridges and Glastender Double Tap Keg fridges. 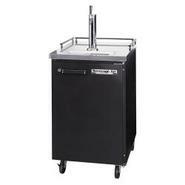 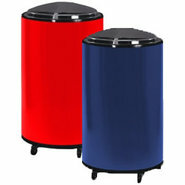 Generic - Rolling Patio Cooler & Ice Barrel Keep your canned and bottled beverages nice and cold with this innovative rolling patio cooler! 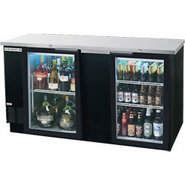 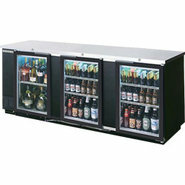 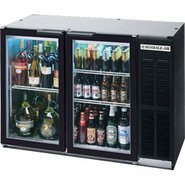 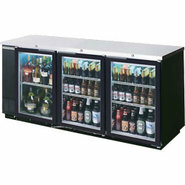 Generic - Fill 'N Chill Beer and Food Party Table This convenient party table makes it easy to keep food and beverages cold and fresh. 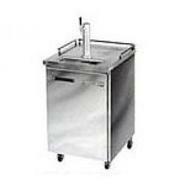 Generic - SideBar Electronic Beverage Dispensing System With the touch of a button this innovative countertop bar dispenser measures and pours your liquor for you. 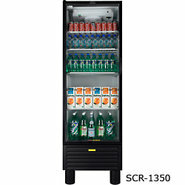 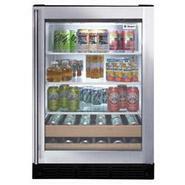 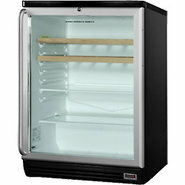 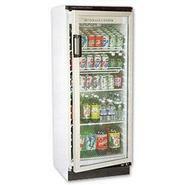 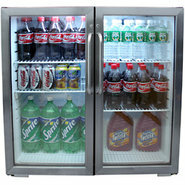 Generic - The Texas Icer Iced Beverage Merchandiser Cart Lots of room for cold beverages with a convenient shelf below. 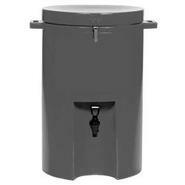 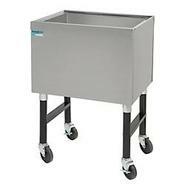 Generic - Portable Stainless Steel Ice Bin This stainless steel ice bin is ideal for storing ice right where you need it or as a portable cooler for bottled beverages. 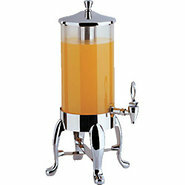 Generic - Deluxe Juice Dispenser with Chrome Legs This decorative beverage dispenser serves your juices and chilled beverages in style!